Experience wildlife safari holidays in Kenya & Tanzania. Stay in luxury camps and go on extensive game drives in Serengeti and Masai Mara National Reserve on this 14-day African holiday. Your African holiday starts today. Upon arrival at Jomo Kenyatta International Airport, you will be met by our representative and transferred to the historic 5-star Sarova Stanley Hotel. 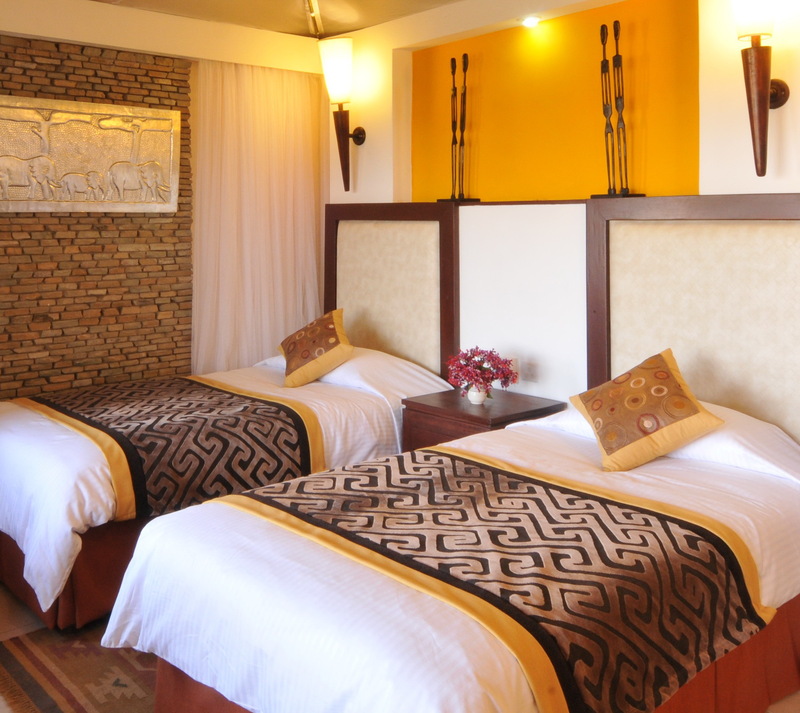 One of Nairobi’s oldest and best renowned city hotels, it stands in the city center within easy reach of both shops and tourist attractions,and offering a health club, roof-top swimming pool and a wide selection of restaurants and bars. Overnight at Sarova Stanley on bed and breakfast basis. After an early breakfast, drive north to the Samburu National Reserve arriving in time for a late lunch at the Samburu Sopa. Standing at the centre of this pristine reserve, it features a curve of cottages clustered around a waterhole, which attracts a wide range of wildlife both day and night. The Samburu National Reserve is located on the banks of Ewaso Ng'iro river in north Kenya. It is close to the Buffalo Springs National Reserve in Northern Kenya, which lies on the other side of the river. Samburu National Park is 165 sq km (square kilometers) in size and located in Samburu District of the Rift Valley Province. The Samburu National Reserve was one of the two areas in which conservationists George Adamson and Joy Adamson raised Elsa the Lioness, made famous in the best selling book and award winning movie Born Free. A place of endless skies, dust-red plains and palm-fringed rivers, Samburu National Reserve lies on the fringes of the vast and arid desert once known as the Northern Frontier District, whose heat-scorched scrub lands extend all the way to the jade-green waters of Lake Turkana and beyond. Enjoy a full day on safari in Samburu followed by sundowners and dinner at the lodge. Leave the lodge after breakfast and travel south along the flanks of Mount Kenya before arriving in the Aberdare National Park. Created in 1950, the park covers the higher areas of the Aberdare mountains of central Kenya and the Aberdare Salient to the east. It has an area of 766 sq km. After lunch at the lovely Aberdare Country Club, transfer to The Ark, which is world-famous and one of Kenya's ‘must do' experiences. Built to resemble Noah's Ark it floats amid the forests of the Aberdare National Park, joined to the world by its own wooden drawbridge while the Yasabara Waterhole attracts animals from all over the park - notably large herds of elephant. Spend the afternoon and evening game-viewing from viewing decks of The Ark. The Aberdare National Park is often dubbed as ‘Scotland with Lions', because of the chilly weather as well as wild and beautiful moorlands of the Aberdare mountain range. The park contains a variety of landscapes - from mountain peaks that rise to 4,300 m above sea level, to deep, v-shaped valleys intersected by streams, rivers and waterfalls. Moorland, bamboo forests and rainforests are found at lower altitudes. It often becomes mist-wreathed realm where elephants roam through lichen-hung forests; spectacular waterfalls plunge into churning pools, and trout-filled streams cascade through mossy dells, it offers matchless views of the glittering coronet of Mount Kenya and the sparkling lakes of the Great Rift Valley. 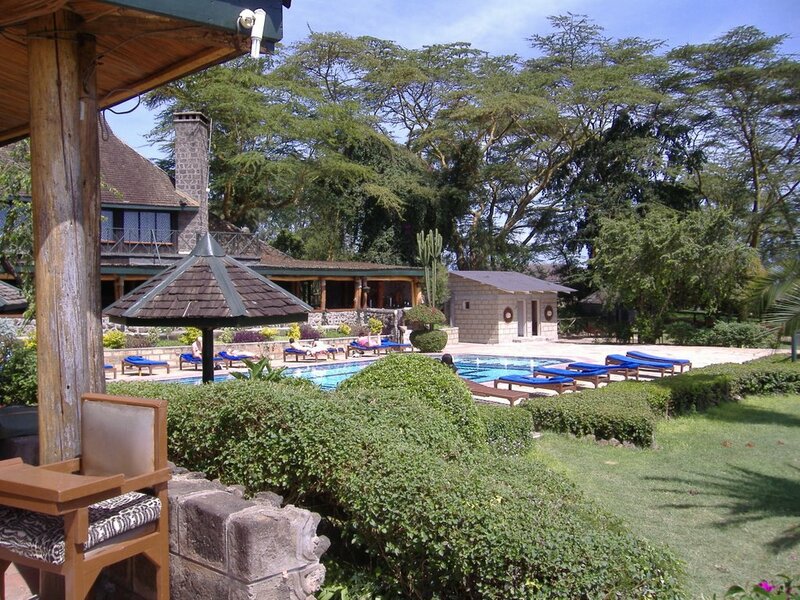 After breakfast, drive to Lake Nakuru National Park in time for a late lunch at Lake Nakuru Lodge. Located about 164 km from Nairobi, Lake Nakuru National Park was created in 1961 around Lake Nakuru. It was initially quite small, encompassing only the lake and the surrounding mountainous region. It has since been extended and now includes a large part of the savannahs, and covers an area of about 188 sq km. After lunch, enjoy a game drive in the park before returning to the lodge in time for a swim, optional cocktails and dinner. 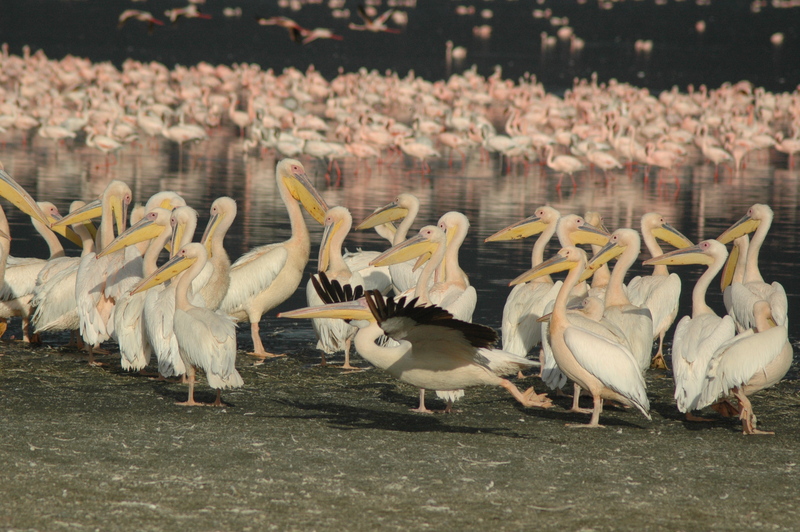 Entitled ‘the greatest bird spectacle on earth’ thanks to the millions of fuchsia-pink flamingo that flock to feed on the teeming algae of its alkaline waters, the pink-frosted shores and sky-mirrored waters of Lake Nakuru yield some of the most evocatively beautiful photo-images in Africa. As Kenya’s first and largest rhino sanctuary, sightings of both black and white rhino are almost guaranteed, while plentiful waterbuck, warthog, zebra, gazelle and buffalo graze the shoreline. Echoing to the haunting cries of the numerous fish eagles, this is also the park in which you have the best chance of seeing a leopard. After breakfast depart very early and drive to the Masai Mara National Reserve in time for a late lunch at Ashnil Mara Camp, which offers 30 luxury tents close to the Mara River. After lunch,enjoy your first game drive in the Mara. Masai Mara Reserve, located in southwestern Kenya, is World renowned for the awe inspiring annual migration of the wildebeest. Spread over about 1,510 sq km, the Mara is Kenya’s most visited protected area. In the evening, perhaps take an early swim before proceeding for dinner and thereafter overnight. Offering an abundance of herbivores, the Mara makes the ideal hunting ground for Kenya’s famous ‘big cats’ and hosts her largest population of lions. 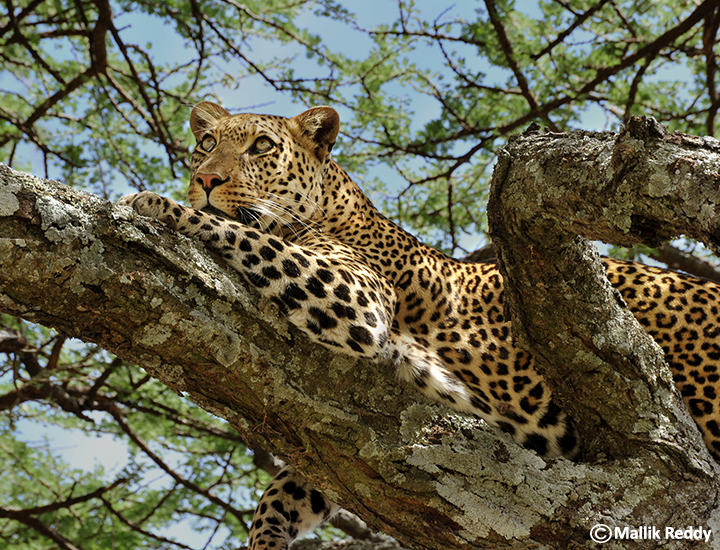 It also offers the best chance of spotting a leopard in the wild. Other predators include cheetah and spotted hyena. Historically teaming with wildlife, the Mara is famous for the large herds of elephant and buffalo that meander its plains; also for the fat pods of hippo that wallow in its mud-brown rivers. Other stars include the distinctive Masai giraffe, plum-coloured topi, Coke’s hartebeest, Grant’s and Thomson’s gazelle, zebra, impala, Kirk’s dik-dik, bushbuck, waterbuck and red duiker. The Reserve also boasts plentiful Nile crocodile, monitor lizard, baboon, vervet; blue and red-tailed monkeys, nocturnal bush babies,and tree hyrax. There are over 550 resident and migratory species of birds. Spend a full day at Mara and enjoy game drives in the morning and afternoon. You can also indulge in some optional activities that the camp offers, such as guided nature/bird-spotting walks, and cultural visits to local Maasai villages. Breakfast, lunch and dinner at the lodge. After breakfast cross the border between Kenya and Tanzania at Isabenia (with a picnic lunch) and enter the Serengeti arriving in late afternoon at Mbalageti Serengeti Tented Camp, which stands on the banks of a river in the western corridor of the Serengeti National Park and enjoys spectacular views over the plains. Covering 14,763 sq km of endlessly rolling savannah plains, the Serengeti is Tanzania’s first-established, the largest and the most famous park wherein tens of thousands of hoofed animals roam in a constant and unremitting search for the fresh grasslands upon which their survival depends. After breakfast, we drive to Lake Victoria, where a visit to a local village and a boat trip on the lake are planned. In the afternoon, return to the Serengeti National Park and drive to Seronera Wildlife Lodge, which is ideally located for safari game drives as well as optional activities such as balloon safaris, guided walks etc. Artfully constructed round a rocky outcrop, known as a kopje, this beautiful lodge is surrounded by a number of waterholes, which attract wildlife by both day and night. Dinner and overnight at the lodge. With a full day’s game-driving in the park, your options are wide. Breakfast, lunch and dinner are served at the camp, where guided nature walks can also be taken. Game drives can be taken morning and afternoon. Whilst the annual migration is the Serengeti’s most famous attraction, the Park is also renowned for its lions, many of which have been fitted with radio-transmitter collars so that their movements may be tracked, and additionally for its wealth of cheetah, zebra, giraffe, Thomson’s and Grant’s gazelle, eland, impala, klipspringer, hippo and warthog. After breakfast, we depart towards Ngorongoro with game drive en-route, travelling through the Serengeti to the Ngorongoro Crater Conservation Area. We stop enroute for a picnic lunch to visit the world - famous Olduvai Gorge Palaeolithic site which is reputed as a ‘Cradle of Mankind’. Scale the side of the crater, circle the rim and arrive at the Ngorongoro Wildlife Lodge, which offers the finest location of all the crater rim lodges, lying on the southern rim of the crater, directly above the yellow fever trees of the Lerai Forest. In the afternoon take a half-day guided tour of the crater before returning to the lodge for the evening and dinner. Often referred to as ‘the eighth wonder of the world’ the Ngorongoro Crater is one of Africa’s best-known wildlife arenas. A World Heritage Site, it is also one of the largest volcanic craters in the world (almost 20 km wide, 610-760 metres deep and covering a total area of 264 sq km). An utterly unique biosphere, the Crater harbours grasslands, swamps, forests, saltpans, a fresh water lake and an amazing variety of birdlife, all enclosed within its towering walls. Due to its high concentration of wildlife, close - range viewing opportunities and striking scenery, it is also Tanzania’s most visited destination. After breakfast drive to Tarangire National Park, where you will take a picnic lunch and a game drive before arriving at Maramboi. Tented Camp, which is situated on a 25,000 hectare Maasai communal ranch and offers just 20 spacious tents, all surrounded by timber decks, while optional activities include guided walks, ornithology and cultural interaction with the Datoga and Maasai people, whose communities lie adjacent to the camp. The camp also offers its own swimming pool Tarangire, named after the Tarangire River which runs through it ,is an arid haven, peppered with ancient baobab trees, towering termite mounts, and home to huge herds of elephant. After breakfast drive to Arusha and the Namanga via Kenya/Tanzania border. Complete immigration formalities and change vehicles. After a picnic lunch, drive to Amboseli National Park and enjoy an afternoon game drive before checking in to the Ol Tukai Lodge, which is one of Amboseli’s best-known lodges and lies at the very centre of the park. Amboseli National Park, spread over 392 sq km, is located in the Kajiado District of Rift Valley Province in Kenya. Towered over by the magnificent bulk of Mount Kilimanjaro (5,896 m), Africa’s highest mountain, Amboseli is one of Kenya’s oldest, famous and most-visited parks. Endlessly panoramic, yet comparatively compact, it is dotted with emerald green swamps in which great herds of elephant wallow; half submerged in the papyrus grasses. The permanent marshlands also provide a potent draw to hippos and buffaloes, while being a haven for the abundant water birds. An International Biosphere Reserve, the park largely constitutes the usually dried-out lakebed of Lake Amboseli, which is surrounded by flat grasslands relieved by very few trees. On the plains are numerous antelopes, spotted hyenas, jackals,warthogs, olive baboons and vervet monkeys. Lions are rare. Get to the Observation Hill, a conical peak, which is easily climbed, stunning views of Mount Kilimanjaro. In the evening, enjoy sundowners in one of the lodge’s two bars, explore the wildlife library, or take a swim in the pool. After dinner in the atmospheric central dining room, enjoy a display of traditional Maasai dance or a wildlife talk. After breakfast at the lodge, drive to Nairobi and take lunch at Pampa Churrascharia with its glowing BBQs serving all manner of meats. Depart for your flight home as your Kenya and Tanzania holiday ends.